EarthSong Network News: Poop or Eggs? When I arrived in my current situation, I felt overwhelmed by the lack of boundaries on all levels. 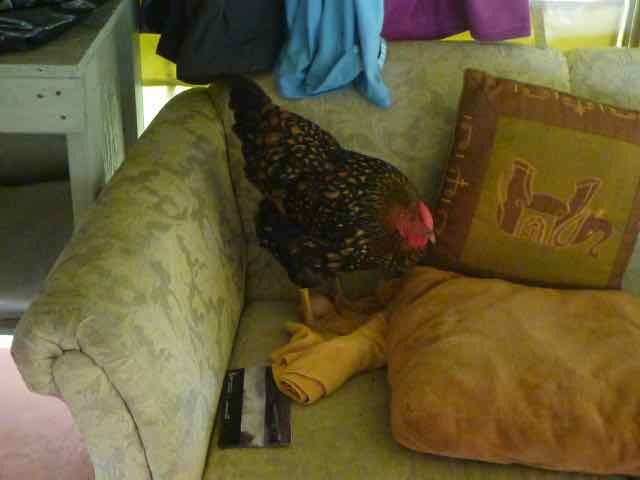 I returned to my little tentalow one morning to find a pile of chicken poop on the floor as they run free and there was no easy way to keep them out of my space. Annoyed, I cleaned up the mess, only to find another pile of poop the next morning, which I also cleaned up. 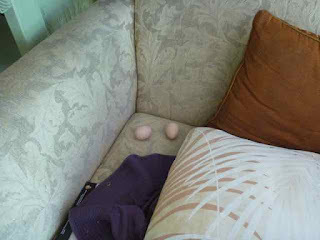 A bit later I discovered two eggs on my little sofa and wondered if someone had placed them there as I had been asking about the availability of fresh eggs. 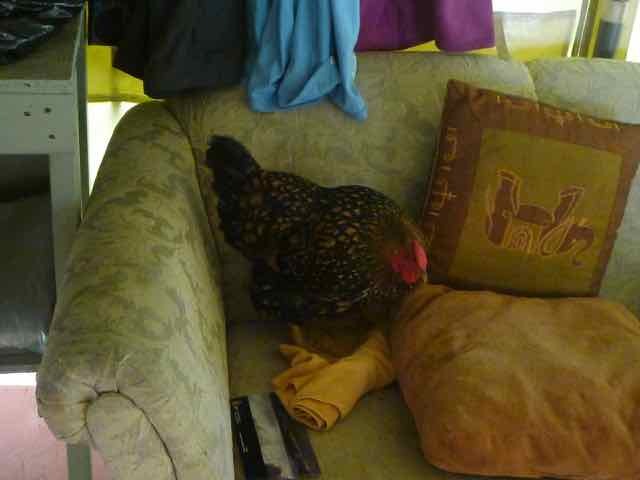 The next day I returned to discover a hen in my space and indignantly chased it out. Then it occurred to me that perhaps the hen had laid her eggs there on the sofa. Sure enough, there was another egg of the sofa! We have reached a point where we seem to be communicating on another level. I have been wanting to get a picture of her nesting, and yesterday she allowed me take a picture of her not only laying an egg, but standing up while she was doing it so I that I actually watched her laying the egg and got a picture of her both before and after. My lesson? People are are being triggered right and left these days and it can feel quite crazy as we all clear out density and toxicity on all levels in our lives. I can fuss and focus on the "poop" of that process or I can look for the wonderful eggs that are being laid right and left as we birth the New Earth. 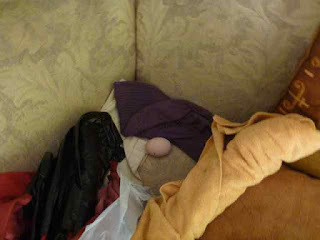 Love and light and many freshly laid and delivered “eggs” to you all! PS My friend Todd Tanis sent me this link. To me, it very wonderfully expresses the explosion into our expanded selves that's taking place right now. This page is about the song, "Newborn Devotion", from the compilation, Sunsational.